I just decided that level 1 students at the beginning of the year are some of my favorite language learners. I know that at many schools level one is reserved for the new teachers, with the seasoned educators stealing all of the cream-of-the-crop upper levels. While I do love having high level discussions in Spanish IV where students actually want to be there, there is something so special about new language learners. 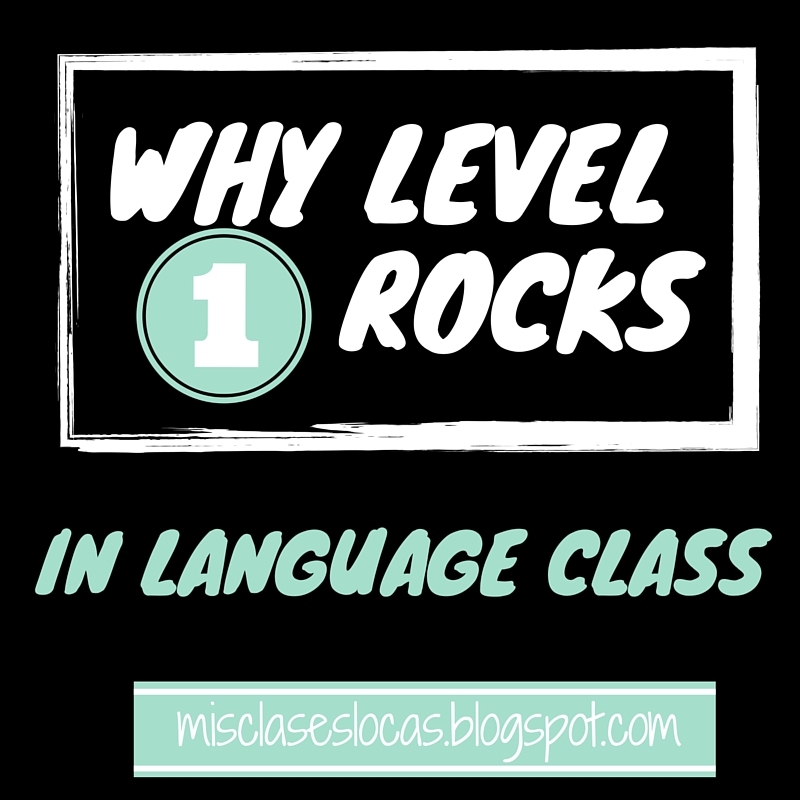 Here are a few reasons why level 1 (or any novice language learner) can rock. There is nothing better than being able to start with a clean slate. As a new teacher in the school, other levels constantly talk about last year and how this is not how they did it before. Change is new and scary for everyone and coming in to rock their language boat makes some students uneasy. 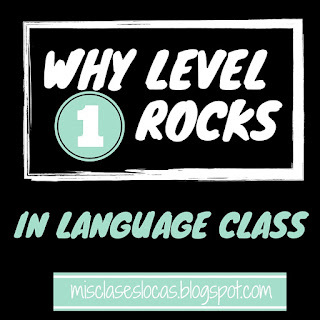 Granted some students may have some exposure to the language in the past, but for the most part in level 1 everyone gets to start together from zero. In my level 1 classes the energy is usually through the roof. Freshman boys have an insane amount of energy to burn, and if funneled in the right direction it can result in greatness. Everything is new, cool, and exciting at the start, so the challenge is to keep this positive excitement all year long. Also, you have to let them use this energy with TPR, moving around the room, going outside, baile viernes, or impromptu races in the hallway while learning the phrase "he runs." Since novices are parrots and repeat everything you say, the progress at the start looks amazing. It is so great for student confidence when they see they can produce 60+ word free writes in five minutes on day 14 of school. This very limited and repetitive vocabulary gives early language students great early success, especially using comprehensible input methods! It is so sad to see upper levels students enter class on the first day already defeated. Someone has already told them that "you are bad at Spanish," or "you can't learn a new language, because I took x years and did not learn a thing." Maybe they had a legacy methods teacher who drilled them on verb charts and long memorized boring vocab lists, and are scared to death that you want them to actually communicate through speaking or writing. As a new language learner, the language possibilities are endless and you have the chance to keep that zeal and enthusiasm alive. Hearing the first words and phrases of a baby language learner is like hearing the first words of your child. (or the first Spanish words from your baby boy, which happen to be agua and más). The pride you have for their progress just warms your heart. It is a chance to see the start of what could be their amazing language learning journey. I couldn't agree more. I have seniority, but choose to teach all of the level 1 classes at our school. I just adore 9th graders and love the excitement about language learning. Yes! If we could only bottle up that excitement and keep it through all of high school! I have only ever taught level one (this is year 18) and I wouldn't have it any other way. Loved this post! Thank you Kara! I appreciate you sharing all of your new resources for novice learners!